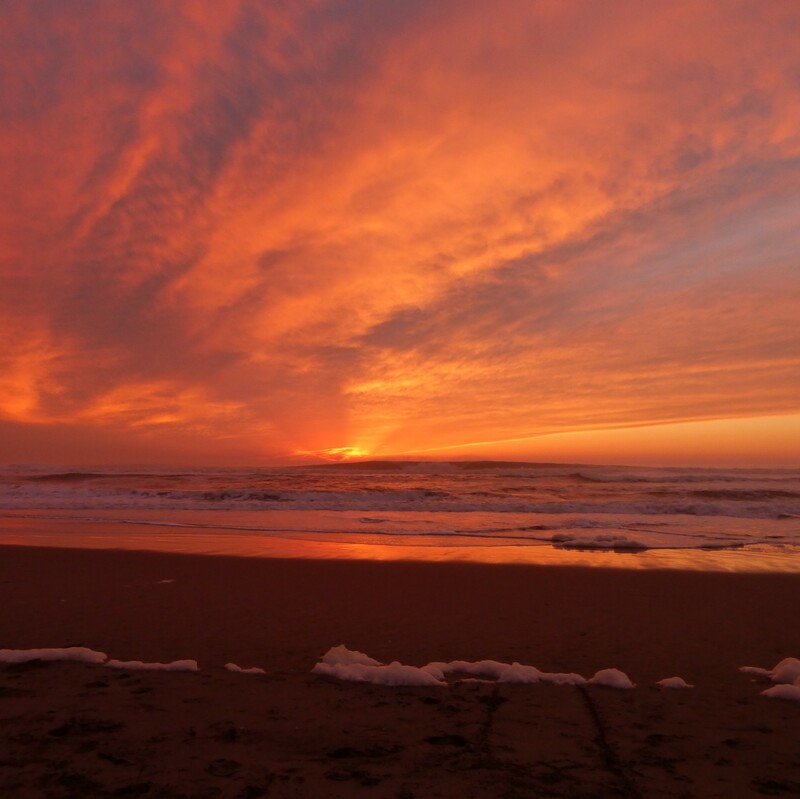 I’ve always thought of the sunsets as a symbol of the end of the day, and as a reminder that the new day will come with just as much unique beauty as the sunset from the prior evening. 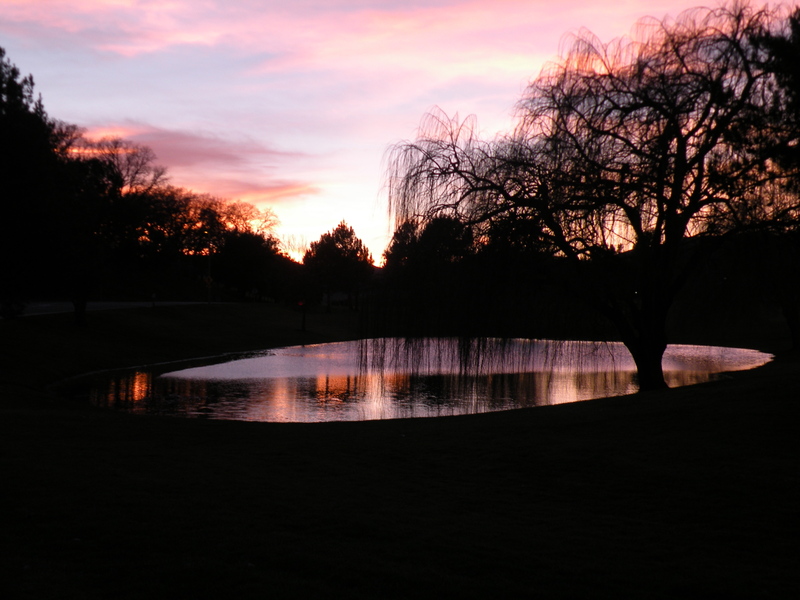 The sunsets have been unbelievably beautiful this winter. I think this is due to the fog that has been ever-present in the mornings. 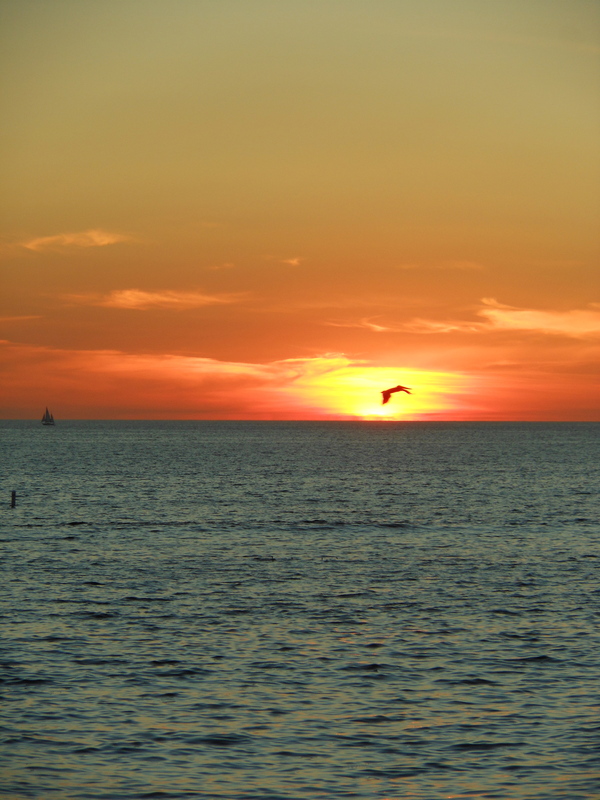 The sunsets seem to make us stop and take notice of our pace in life and with being said…. I’ve a friend, twenty years my senior, who’s edging toward the sunset of their life. They want to acknowledge it and talk about it. I’m all in; you see, I’ve so much to learn from people who have experienced more of life than I have. I can be a safe place to talk about feelings, expectations, and realities. I’m not a family member, I’m a friend of this graciously glorious person. Do you know someone who could use a friend? On Monday we gathered up the grandkids and headed towards the coast. The tide was low and we were looking forward to sharing the tide pool experience with these young minds. 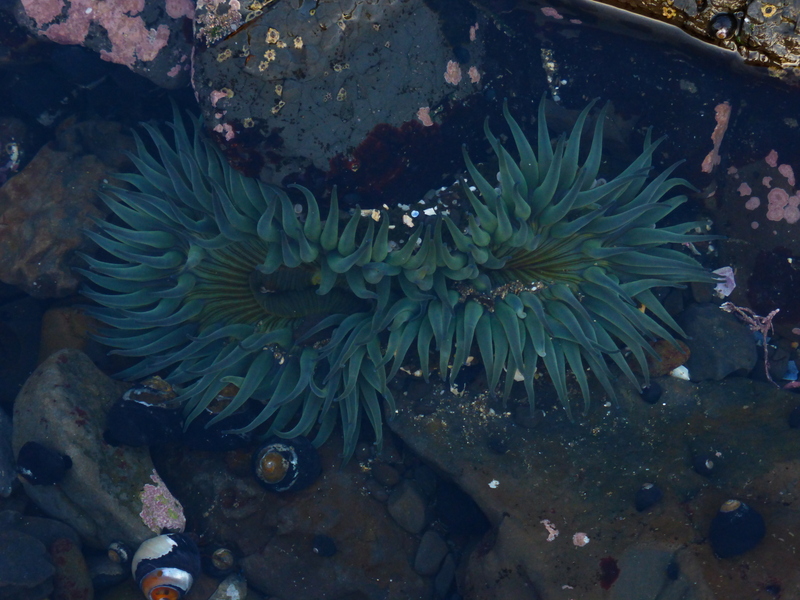 The anemone’s were mostly completely closed when we first started our tide pool hunt. 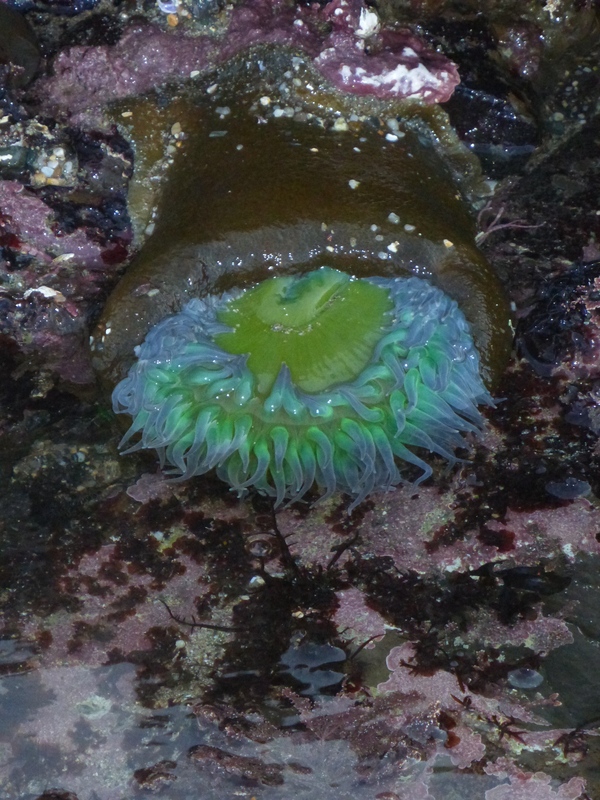 As we progressed over the slippery rocks we started to see a change in the tide pools. Here is our first sighting of, what I was saying, would look like a sea flower. 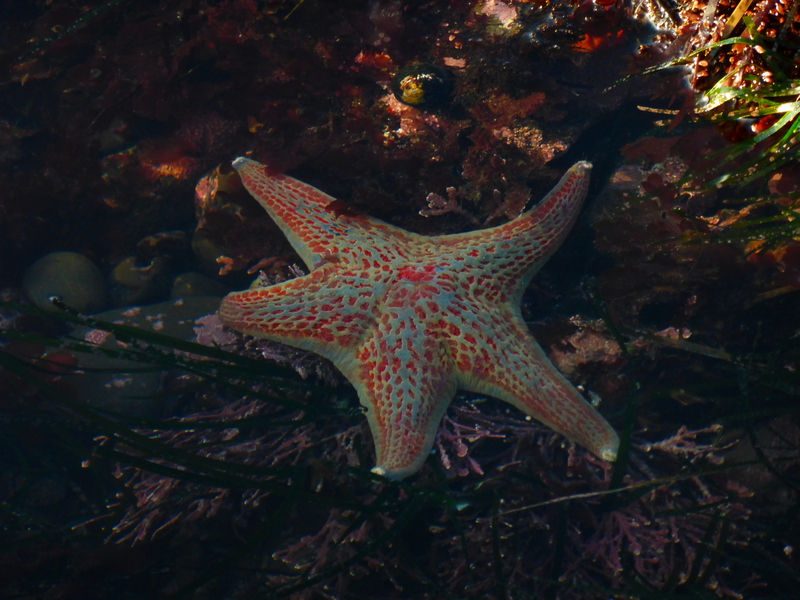 Finding star fish was important, as they’ve been dying off at an alarming rate this year and children always love to see them. Let’s face it, adults do too. 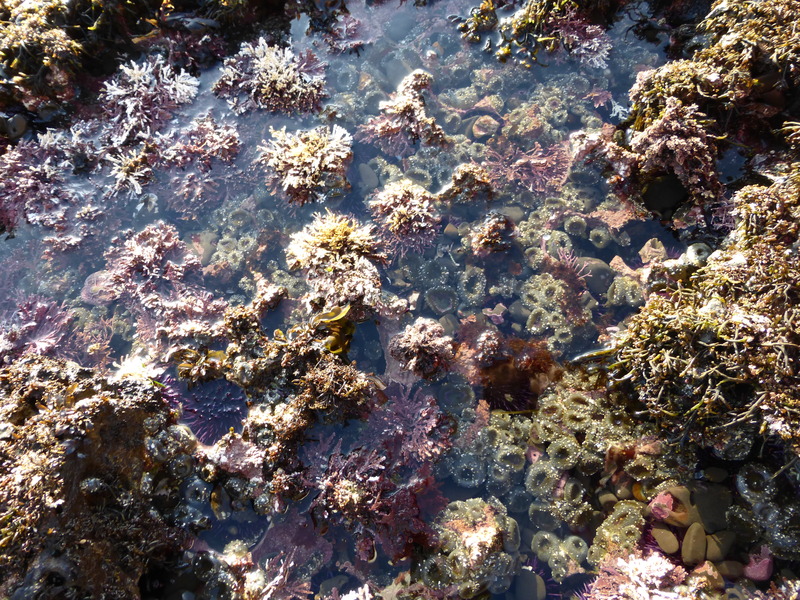 This tide pool had an amazing array of sea life. 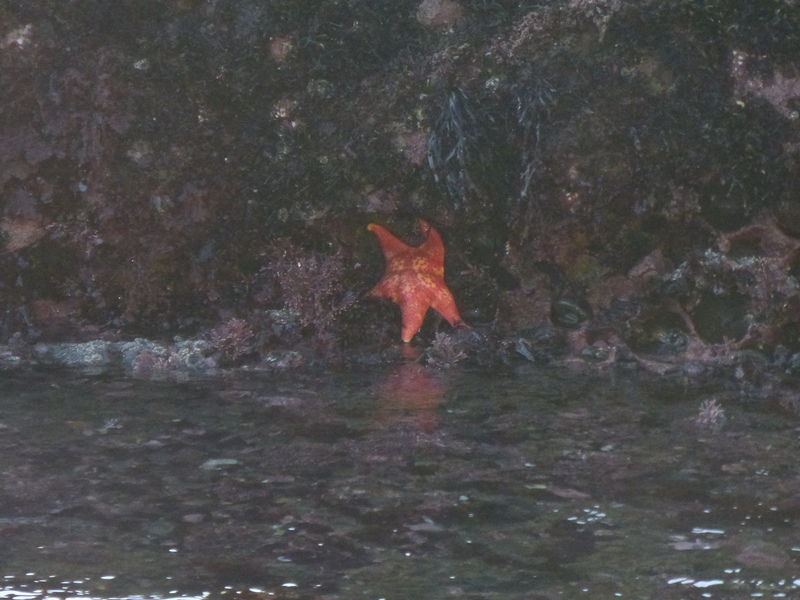 It was packed with purple sea urchins, sea snails, pink algae sponge weeds, pacific seaweeds, hermit crabs, hundreds of very small anemones, and I’m sure there was a lot of life there that we couldn’t see. 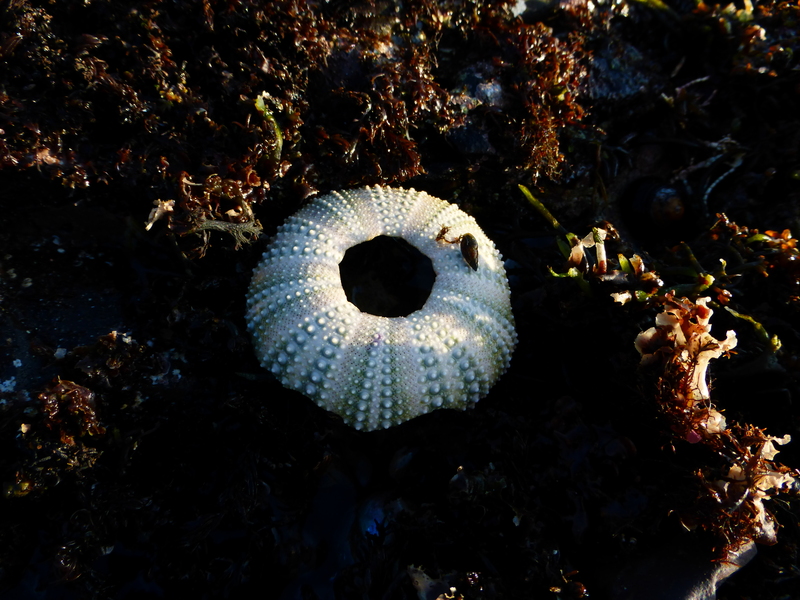 We only saw one sea urchin shell, but it was uniquely different from everything else. We took the stairs up the cliff and walked across, under the coastal cypress trees. Our grand children tried their first taste of sour grass, and they liked it. The kids found fallen trees and climbed on them. They wanted to know if there was a playground. We told them that this was how playgrounds were when we were kids. We just made it up as we found interesting things to play on. They loved the logs and the shadows and the views. 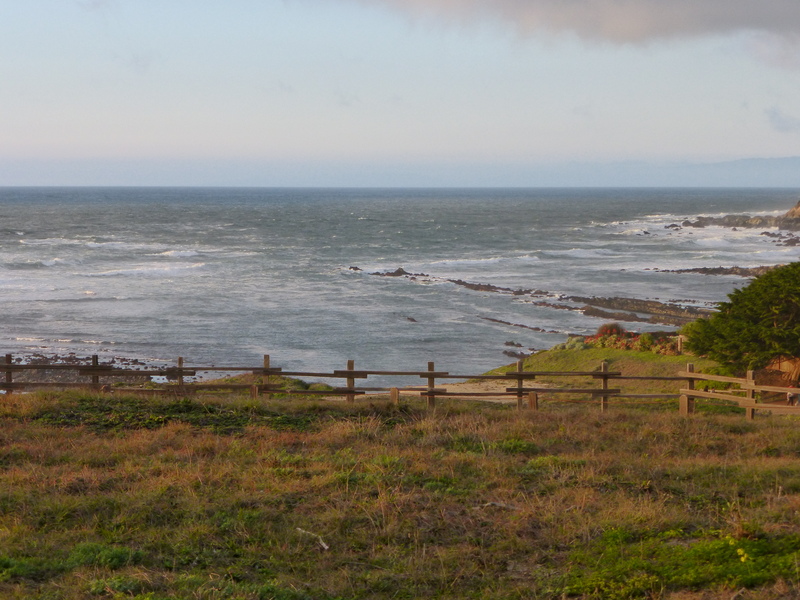 View from the cliffs at Fitzgerald Marine Reserve . 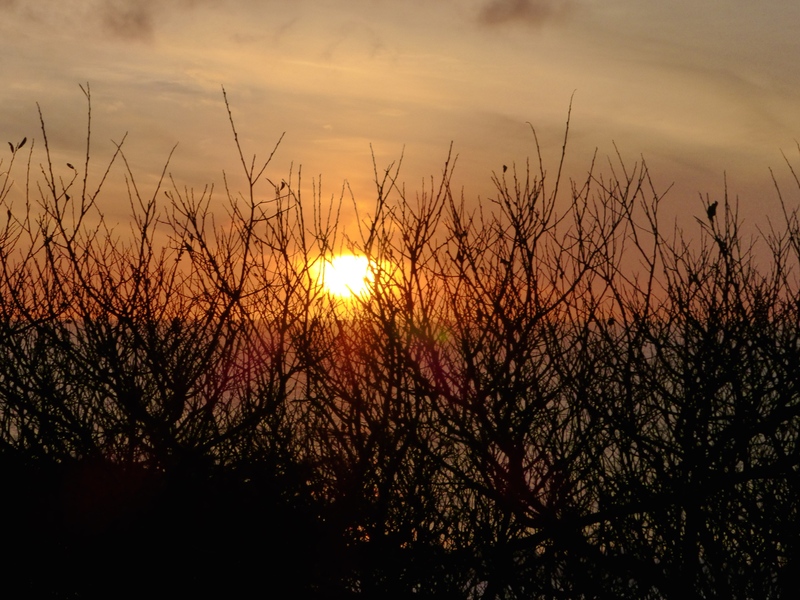 The sun started setting as we drove towards home. Then there it was……The six year old said, “That was Magnificent!” and the two year old said, “Yeah, that was Ma-if-i-ant!” That about summed up the day. They never even thought about video games or TV, they just became fully engrossed in the wonder that the ocean presented them. It was truly magnificent! Lately I’ve been thinking about our trip to France a couple of years ago. 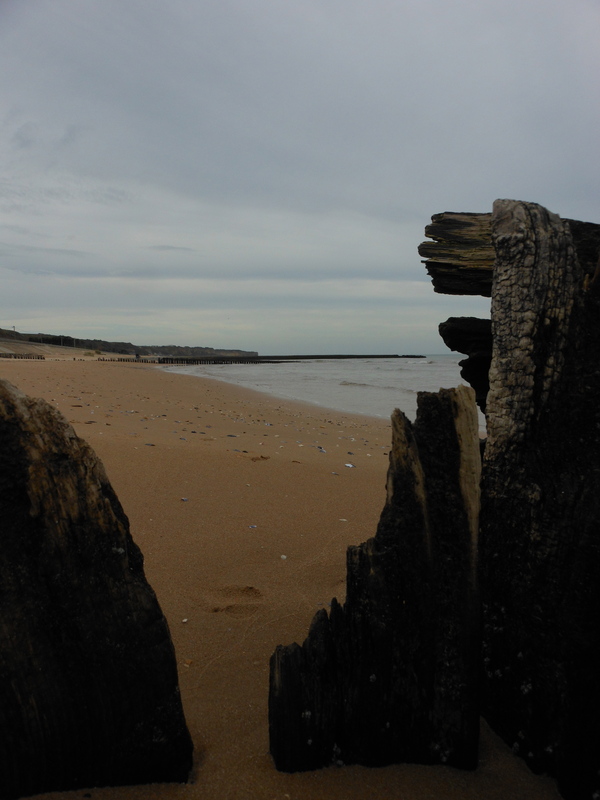 We walked down the Normandy Beach on an eerily still Fall day. When you are there, you are consumed with thoughts of WWII and what those young men must have been thinking while being dropped off to perform an unimaginable task. 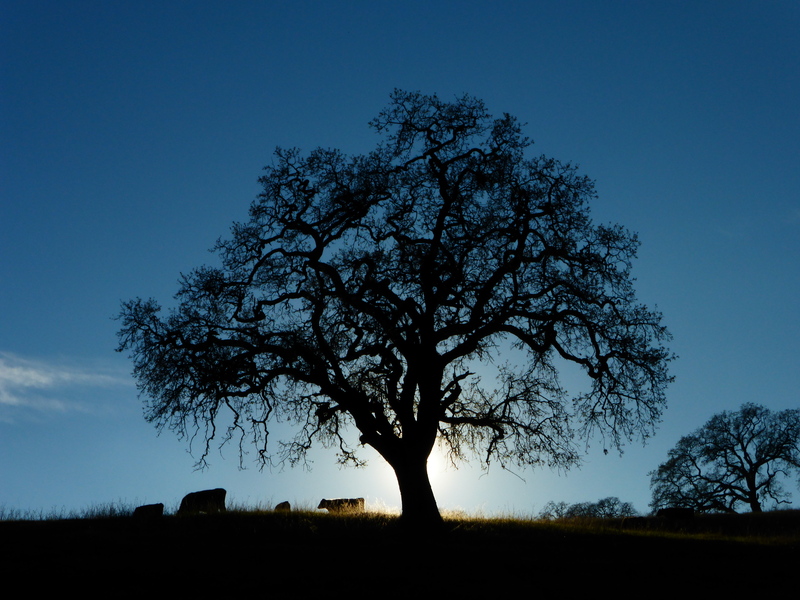 What is most remarkable, is that it is so very peaceful there now. 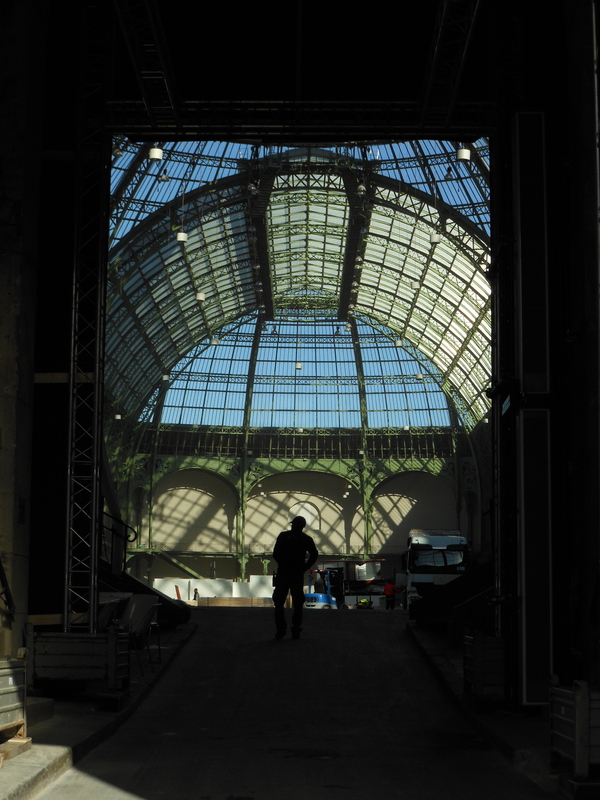 While wandering around Paris, we happened upon a very large building with a glass roof, The Grand Palais. I was told that tourists seldom get to see inside of this building, but there we were with the giant side doors standing wide open, and I was allowed to take a couple of photos. It was immense and beautiful. 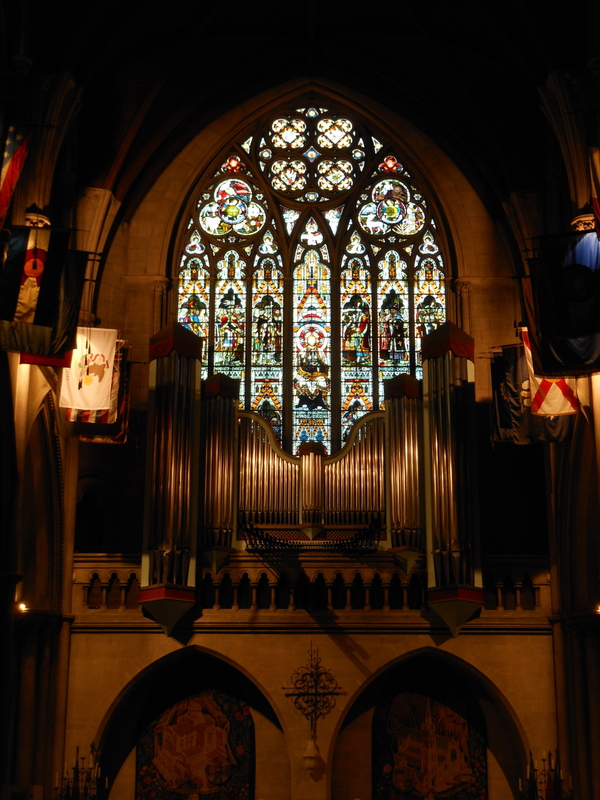 Around every corner was a gorgeous church and often the pipe organ would be playing. Music is the most amazing universal language. I wish that everyone around the world would be touched by the spirit of lovely music. I don’t think that all people seek peace in their lives. I am so sad about the events that occurred in Paris this past week. With that being said, I think the world could use a little more things to celebrate and be light-hearted about. 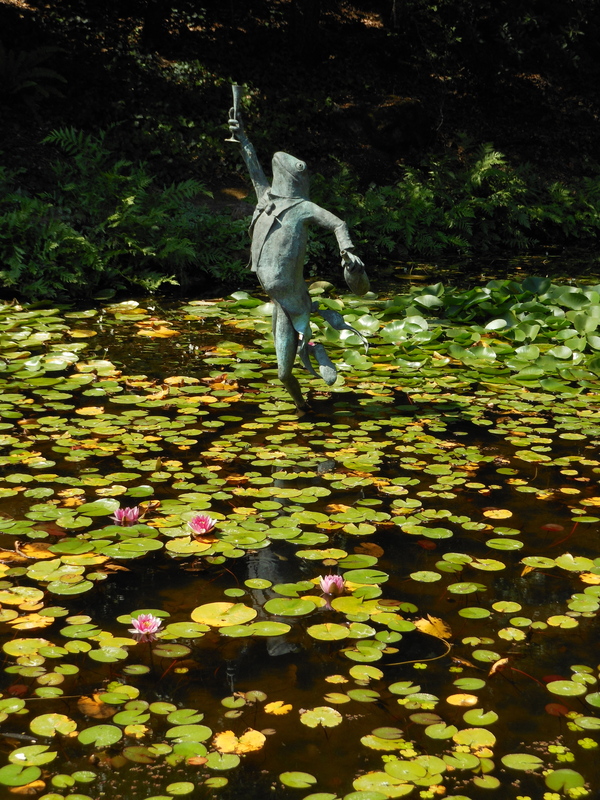 You can find this happy frog in the pond at the Schramsberg Caves near Calistoga. We went there with some friends a bit ago and had a remarkably memorable day. 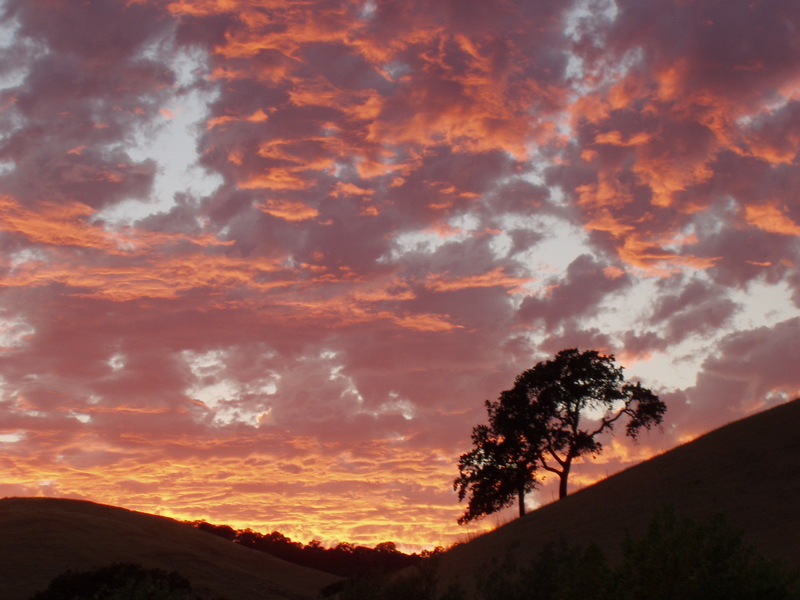 It’s on days like that, when I realize that my little life, in my little piece of California, is quite lovely. I hope that, wherever you are, your life is peaceful and lovely too.